My name is Sheridan. I am seventeen years old, and I have been watching your channel for years. I don't remember how I stumbled upon your channel, but the only thing I remember is my cousin introducing me to your "How to Deal With Anxiety/Panic Attacks" video. I can't put into words how much that helped me, how much that changed my life. I don't think I formally recognized that my "school-age shyness" was something completely different. I didn't know that I likely had an anxiety or panic disorder until I watched that video. Though I'm still not at a point mentally where I can convince myself to go to therapy for anxiety (hence why I am hesitant to say that I have anxiety), your videos have helped a lot. I see a great girl doing amazing things and not letting her own anxiety stop her. If you can do it, why can't I? As hard as that was to put into words, I think you can understand the impact that you & your videos have had on my life. You are such a positive role model for me and I look up to you. I have a ton of respect for you. Please keep this in mind as you read the following: I'm only seventeen and I still haven't mastered how to put the pen to the page, if you know what I mean. While some of this may seem very cross, that's not the intention at all. What you might not know about me is that I am an author. Yes, a published author, at seventeen. I wrote a children's book about anti-bullying (Hank and Lui: King of the Mountain) and I couldn't be prouder of my accomplishments. I'm also an avid reader. Reading was and still remains one of the only ways that I can escape the negativity and cruelty of the world, and sometimes, even my own self-doubt and paralyzing anxiety. When you announced your book club, I was so excited. I had already read a few of the books on the list at the time that it was announced, and I was excited to see how it progressed. But in all honesty, I was hurt when I saw that you responded to one of your questions like this. I know that it probably didn't cross your mind when you were answering the question, and I know that you didn't mean any harm by what you said, but I still am hurt. I know that you might not have realized that what you were typing can hurt, but that's what I'm here to inform you about. I was hurt that you called YA, one of my favorite genres, an easier genre to read. While you might not realize it, calling a certain genre of books "easier" to read, is an insult to both the readers and the authors. It implies that the books themselves are not complicated, that it's an "easy breezy read", that a YA book is a fast read because it doesn't make you think too hard about it. As an author, I know the term "easier genre" can be extremely insulting, even if you didn't mean it to be. It implies that YA books are easier to write, and calling a book an "easier" read can also be an insult to the intelligence, hard work and creativity of an author. While your channel has been almost like a second home to me, books have been there for me when no one else was. I grew up reading Harry Potter (and I still think that it is so cool that you were an extra in one of the movies!). I grew up reading every single day. I grew up finding versions of myself in other characters. I grew up in a hateful world, but I had books to escape it. Books have helped me in ways that I cannot quantify. Books have literally saved me, when I thought that saving myself wasn't possible. It is authors and characters and story-lines and villains and heroes and words on pages that did that for me. As a fellow author, I know you understand that, and I know that your book has done that for someone else. (I personally, haven't been able to find the book in my bookstores, and so I haven't been able to read the series). To hear something like that which belittles the YA community stings where it hurts. It doesn't make me feel good, to be frank. It feels like, by saying that YA is an "easier" genre to read, you're also saying that my own experience and journey with YA is not as important; that it doesn't mean as much and that I took the easy way out when it comes to reading. I didn't. I know you likely didn't mean any harm in your tweet. After all, I know it is just a tweet, and a lot of context, body language and emotion can be lost when our conversations are mainly through screens. I'm not writing this letter in anger, and I'm not writing this to try and make you feel bad. I'm only writing this to help you realize that your words have influence. Your words have power and sometimes, they can make people feel emotions that you didn't intend. I hope you realize that. Today, I'm partnering with Irish Banana Blog Tours to promote THE WOLF ROAD by Beth Lewis! 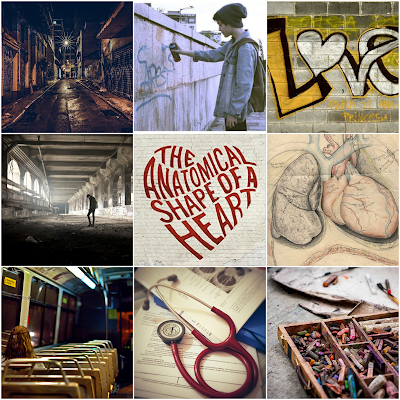 What better way to promote and amazing book than with a mood board for #MoodBoardMonday? 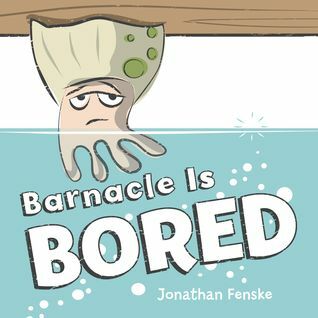 Order BARNACLE IS BORED Here! Learn More About Jonathan Fenske Here! This picture book is an irreverent and playful answer to any child's declaration of boredom! I knew right away that this book would be a perfect fit for my two cousins, Lola and Quinn. I was so excited to request this book for a review & to be a part of the blog tour! 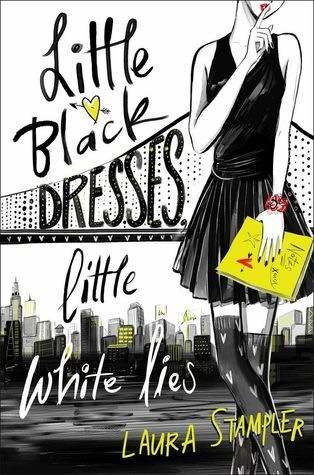 Order Little Black Dresses, Little White Lies Here! Learn More About Laura Stampler Here! "Harper Anderson always believed she belonged somewhere more glamorous than her sleepy Northern California suburb. After all, how many water polo matches and lame parties in Bobby McKittrick's backyard can one girl take? That's why Harper is beyond ecstatic when she lands her dream internship as a dating blogger at the elite teen magazine Shift. Getting to spend the summer in New York City to live her dream of becoming a writer? Harper's totally in. There's just one teeny, tiny, infinitesimal problem: Apart from some dance floor make-outs, Harper doesn't have a lot of - or, really, any - dating expertise. In fact, she might have sort of stolen her best friend's experiences as her own on her Shiftapplication. But she can learn on the job...right? From awkward run-ins with the cute neighborhood dog-walker to terrifying encounters with her crazed editor, from Brooklyn gallery openings to weekends in the Hamptons, Harper finds out what it takes to make it in the Big City--and as the writer of her own destiny." Is there anything special about this book that you are looking forward to? I think I pretty much answered this question through my answers to the following questions (I love to work backwards!). I just think that the synopsis is extremely unique and I can't help but relate to Harper, because I too have giant ambitions & huge dreams. How did you hear of this book? From a Goodreads Search, Blogger Buddies, Twitter, etc.? To my memory, I believe I first saw this book floating around Twitter. I saw the cover & title and I instantly wanted to learn more. I think I learned about this book when I was on a trip to Boston (though I'm not entirely sure) and I honestly think that some of the "oh-my-goodness-I'm-away-from-home-and-enjoying-life-magic" rubbed off on this book. I can't help but remember that trip every time I look at this book, and it just makes my heart feel full, even if my trip has absolutely nothing to do with the plot of the story! Have you read any of the author's works before? This is her debut book! What do you think about the cover? What about the title? Everything about it pulled me in straight away. The synopsis was intriguing, the cover is absolutely gorgeous, and the title has me guessing already. I would love to have an internship at a publishing company - I know, it's not a magazine like Shift - and I just can't help but imagine myself in Harper's shoes, even if her story has to do a little bit more with romance and mine has to do with books (though I am okay with that!). When is the release date for this book? Do you think you can wait that long to read it? What do you think of this week's pick? What are you waiting on? Let me know in the comments below! Do you not know what "Moodboard Monday" is? Check out this post that explains it! Who was your favorite character in the book? My favorite character from this book was Jack! There was just something about him that pulled me in. Did you pick any specific characters or scenes to be represented in your Moodboard? I tried to include a variety of pictures that focus on Bex, a picture or two that focus on Jack, and a picture or two that focus on both of them. I wanted to incorporate more of Bex and her passions because the story does focus on her quite a lot (plus she is a very interesting person), so I wanted to give her the spotlight she deserves. Did your Mood Board take a specific color scheme? If you actively chose one, why did you chose that specific color? I think that all of the pictures of Bex tend to have a beige coloring to them, a yellowish tone. The other ones, because most of them are during the night time, tend to be darker and have a little bit more contrast. I think this is interesting because to me, I think you could tie the plot of the book into these pictures as well: the life Bex lives in the daytime is completely different than what she does at night, or what she does with Jack. Was there a picture that you just couldn't find to incorporate into your mood board? If you can answer it with little to no spoilers, tell us how it related to the book! I really wanted to find a girl standing in front of a medical facility, with a lab coat & some equipment (even if it was just a clipboard in her hand), but I understand that the Internet doesn't have every single picture that I want, and I'm okay with that. I found some really cool alternate shots, and I'm still really happy with how my Moodboard turned out! If you want to read my review of the book, you can click here! I actually read this book as part of the Sunday Street Team all the way back in November of 2015 (which was oh-so-long ago!). Artist Beatrix Adams knows exactly how she's spending the summer before her senior year. Determined to follow in Da Vinci's footsteps, she's ready to tackle the one thing that will give her an advantage in a museum-sponsored scholarship contest: drawing actual cadavers. But when she tries to sneak her way into the hospital's Willed Body program and misses the last metro train home, she meets a boy who turns her summer plans upside down. Did you participate in MoodBoard Monday this week? Link me to your post in the comments! Did you read this book? What did you enjoy about it/rate it? I am super excited to be a part of the blog tour for The Telling by Alexandra Sirowy! The Telling is about a girl named Lana, who finds her life turned upside-down after mysterious murders begin to occur in her small hometown. Everything she knew has disappeared, and Lana is now forced to cope with the fact that her life after is anything but ordinary. You can read the official synopsis below! A chilling new novel about a girl who must delve into her past if she wants to live long enough to have a future when a series of murders that are eerily similar to the dark stories her brother used to tell start happening in her hometown. Lana used to know what was real. That was before, when her life was small and quiet. Her golden stepbrother, Ben was alive. She could only dream about bonfiring with the populars. Their wooded island home was idyllic, she could tell truth from lies, and Ben’s childhood stories were firmly in her imagination. After has Lana boldly kissing her crush, jumping into the water from too high up, living with nerve and mischief. But after also has horrors, deaths that only make sense in fairy tales, and terrors from a past Lana thought long forgotten. Love, blood, and murder. Pre-Order The Telling from AMAZON | BARNES AND NOBLE ! 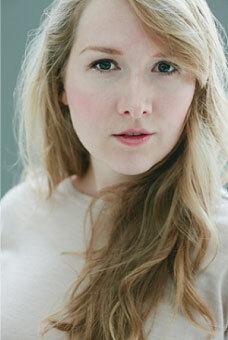 Alexandra Sirowy is the author of The Creeping and The Telling. She was born and raised in Northern California, where she attended a women’s college as an undergraduate and received her MA at the University of San Francisco. She is a voracious reader, the oldest of three children, an avid traveler, a record-holding high school long jumper, a gourmet cook, a feminist, and forever grateful to her parents for reading to her as a child. Alexandra lives in Northern California with her husband. Doesn't this book sound absolutely amazing?! 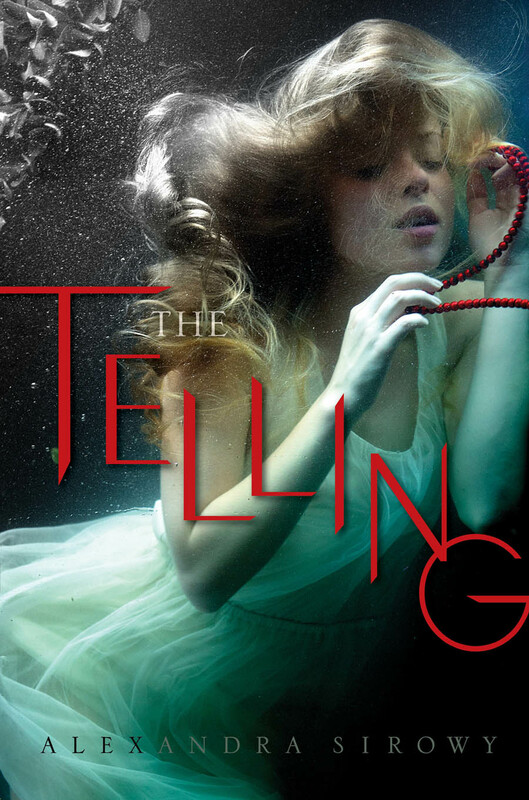 I'm slowly branching my way into reading more YA thrillers, and I knew that The Telling would be a great book to read. I especially love The Telling, because even after reading the synopsis, I'm still not sure what to expect! Everything is a mystery, and I love going into intense books with little to no information about what is occurring in that universe (also known as "going in blind"). I know you want to start reading this book right away! Well, today is your lucky day! I partnered with Irish Banana's Blog Tours to bring you an exclusive excerpt of The Telling, so that you can fall in love with this book right away, or at least see if it is for you! The blog tour actually has a different excerpts for each tour stop, but in total, the excerpt is about 5 chapters of the book! Start with the first tour stop, then make your way to the last one to read this AMAZING extended excerpt! Here is my share of the excerpt! If you loved the excerpt, you're in luck! I'm giving away (1) hardcover copy of The Telling right now on behalf of the publisher & author! This giveaway is US only! I'm sorry to all of my international readers! Let me know what you think of The Telling & the excerpt by commenting down below! Does this sound like the book for you? Do you read YA thrillers/mysteries? What did you think of the excerpt? I would love to know all of your responses! Thank you so much to Irish Banana Blog Tours and Alexandra Sirowy for allowing me to share this excerpt with my readers! I cannot wait until this book is in my hands! I decided to put my own original spin on this week's Top Ten Tuesday. The theme for this week is "Ten Facts About Me". But, because I don't know what you already know about me (and because I have no clue what would count as an interesting fact about myself), I decided to open it up to Twitter. While these may not be 10 questions, I still had a lot of fun answering them and featuring them for my Top Ten Tuesday Post! For significant pieces of the story, I wanted to do my best and capture the Marauder. Okay, I know it's a glass ship and it's supposed to be really high tech, but when I was reading, I just couldn't help but picture it as a flying pirate ship with some new technology on the inside! 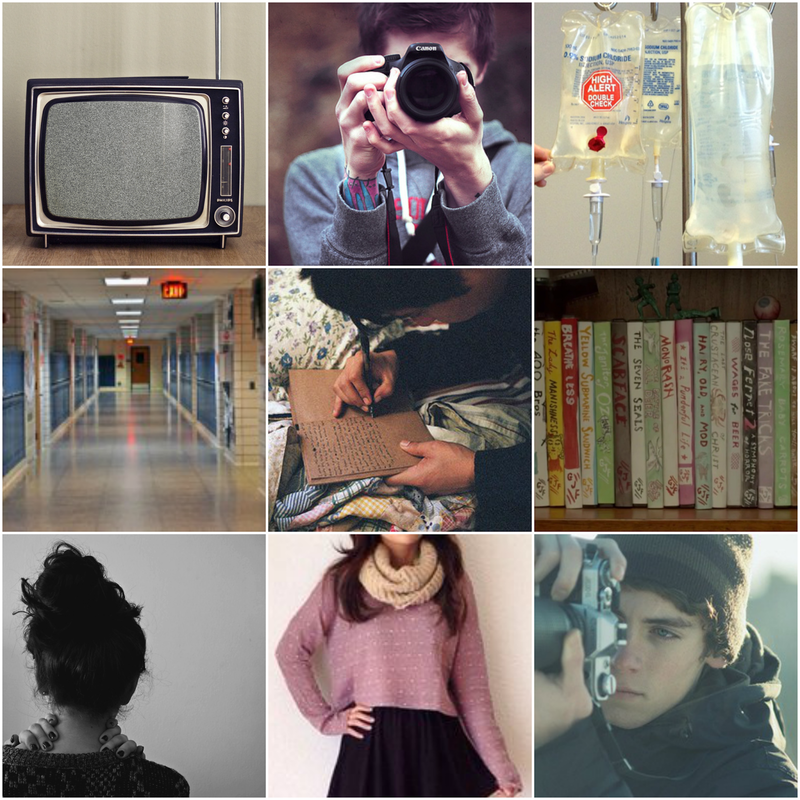 I started my mood board by looking for a picture of Andi, the main character. She has very pale white hair with a streak of purple in it (which I absolutely love!). 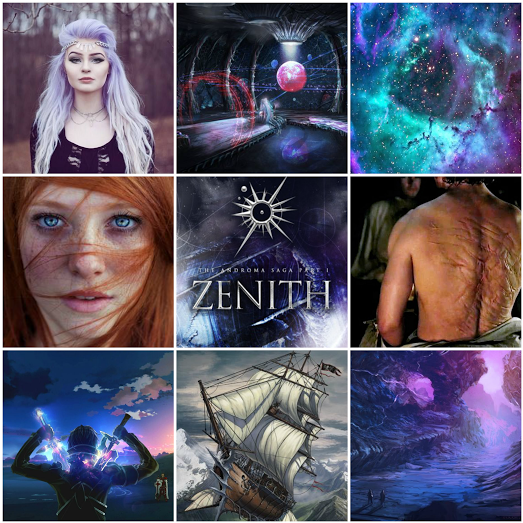 When I started to look for other pictures, like the galaxies (because Zenith takes place in space), I guess I pulled inspiration from Andi's purple hair because all of the galaxy pictures have purple in them! I really wanted to find a group of girls, with their weapons in hand, staring at the galaxy in front of them. As you can imagine, this represents the Marauder crew! I did find a picture with electric swords, which is pretty cool! If you want to read my review of the book, you can click here! I actually really enjoyed reading this book. If you haven't read the book, I'll include the summary below. "There is darkness sweeping across the stars. Most know her as the Bloody Baroness, the captain of a fearsome glass starship called The Marauder. Androma and her crew strike terror in the hearts of those who cross them amongst the many corners of the Mirabel Galaxy. When a routine mission goes rogue, the all-female crew is captured by a bounty hunter from Andi’s past and forced into a job that could, quite literally, start a war that will devour worlds. Meanwhile, on the far side of the galaxy, the ruthless ruler Nor waits in the shadows of the planet Xen Ptera, biding her time. The final pieces are about to fall into place, liberating a plan that will tear Mirabel in two. As the Marauder hurtles toward the unknown, there is one lesson that proves to be true: No one can be trusted in a galaxy that runs on lies and illusion. From internet sensation Sasha Alsberg and multi-genre author Lindsay Cummings comes a new serialized space opera, full of action, intrigue, and steamy star-crossed romance. Perfect for fans of Hugh Howie, Sarah J Maas, and Beth Revis." Imagine, you walk into Barnes and Noble on a search for a book that you have been anticipating for ages. Today is finally the day when it publishes, and you hope to be one of the lucky people who manage to snag the book from the fresh restocking of the bookstore shelves. The store opens, and immediately, you rush to the shelves. You know exactly where you would find it, and within seconds, it is right in front of you. You happily pick up the copy and bring it to the register, but you notice a little sticker on the front cover. Barnes and Noble, special edition. it reads. Extra story inside. You had read something in the publisher's Twitter feed earlier in the day, mentioning that this book would have additional content depending on the store that you bought it from. But, wait. How could Barnes and Noble have a special edition? Didn't the publisher just tweet that Target was the one with the special edition? As you scramble to pull out your phone and figure out the details, another tweet comes in. This time, it's about a Barnes and Noble special edition, with different content and extras than the Target special edition. You want all of the extra content, but you don't have enough money to pay for both editions of the book, nor do you really need two copies of the same book on your shelves. What do you do? I decided to take a break from normal "book blog" content and post something that is extremely important to me today. If you were around the blog in May, do you remember that giant update post where I talk about my insane exam schedule and how I wouldn't be able to blog consistently throughout May because of it? Guess who just saw her scores from those exams? *points fingers at self* This girl. I'm not going to say what my results were, or what the International Baccalaureate programme is in this post, because I explain it all in the video! Click the video below to watch (I promise it's short) and see my reaction to my exam results! This week's Top Ten Tuesday post was about finding books that have less than 2000 ratings on Goodreads that we enjoyed reading this year. As someone who has struggled to find the time to read (that is, until now) I noticed that a lot of the books that I have listed here have also appeared in other blog posts and Top Ten Tuesdays that I made. I guess that is what you get when you read some really great books. In all honesty, these books are all amazing. The fact that they have been mentioned on the blog several times and included in several posts should show their value! I've also included links to my reviews of all of these books too, in case you want to know some of my more "in-depth" thoughts about them. Just click on the title of the book to be taken to my review! 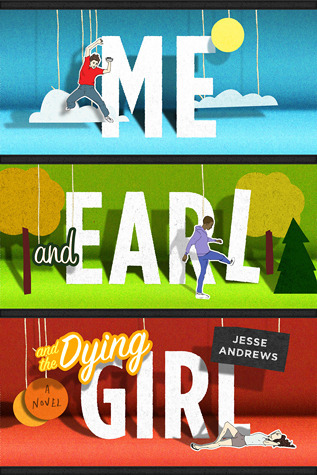 If you read my post on Friday, you would know that I recently finished reading the book Me and Earl and the Dying Girl by Jesse Andrews. 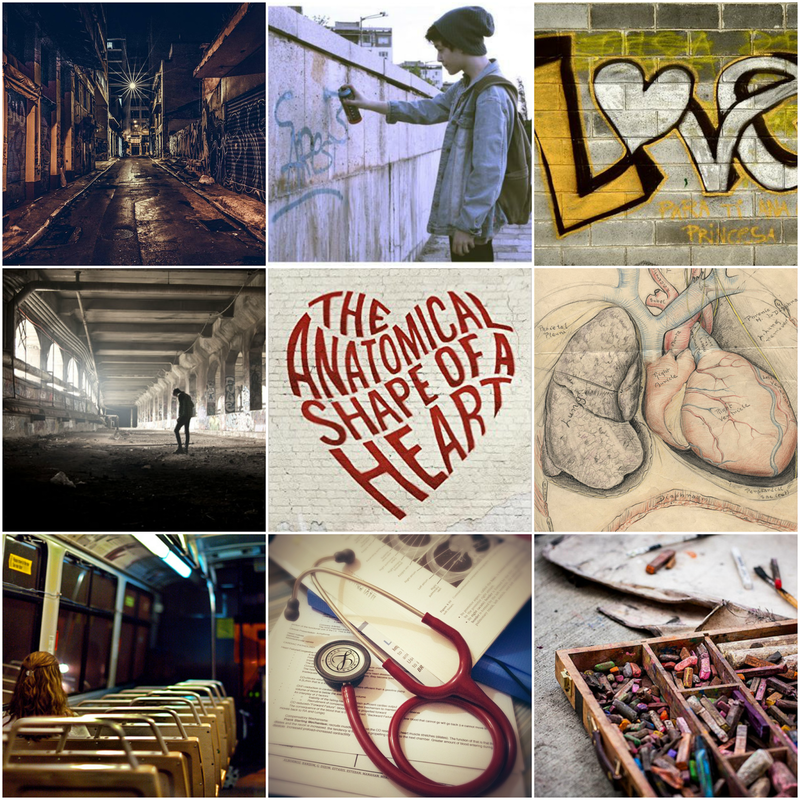 I thought this book would be a great book to post a mood board for, so I made my own! My favorite character was, without a doubt, Rachel! I didn't really pick any specific "scenes", but I kind of wanted to capture the essence of the characters. Greg is the boy in all of the shots, I have two of him with a camera because his passion is creating films. The middle picture is supposed to represent the book that he is writing. For Rachel, I wanted to capture her "style" by picking an outfit that I think she would wear. I didn't actively choose a color scheme, but it seems like all of my pictures have a yellow tint. Maybe that's fitting, because it seems like you are looking through a film cell. Yellow to me also represents happiness, and even though there are a lot of sad things happening in this book, there are also a lot of great happy memories that Greg reflects on. Oh goodness, I really wanted to find a picture that looked like Rachel while she was in the hospital. I just couldn't find a picture that captured the mood I wanted. I can't say too much about that mood without spoiling the book though, so I guess you have to read it! "Greg Gaines is the last master of high school espionage, able to disappear at will into any social environment. He has only one friend, Earl, and together they spend their time making movies, their own incomprehensible versions of Coppola and Herzog cult classics. And all at once Greg must abandon invisibility and stand in the spotlight." Order Me and Earl and the Dying Girl Here! Learn More About Jesse Andrews Here!